This blog post is part of Build Your Stack,® a new initiative focused exclusively on helping teachers build their book knowledge and their classroom libraries. It was written by NCTE member Kasey Short. Each book that is read aloud or recommended to students is an opportunity to share a story that plants a seed of understanding and compassion in their hearts and minds. As students are exposed to stories that provide examples of counterstereotypes and insight into ideas/beliefs/cultures that they may not be familiar with, it can humanize those who are often dehumanized and make visible what is often invisible. My hope is that the seeds of understanding and compassion from these stories will pop into students’ minds when they hear or experience bias, racism, nationalism, Islamophobia, and other prejudices. I hope too that reading and talking about these stories will cause them to question hate speech, have confidence in their own worth, stand up for the rights of others, take time to determine if information is credible, and respect others’ perspectives. The books below were all recommended to me by students or by my daughter, and each story challenged me to consider a new perspective. I always tell students that there are too many wonderful books to spend time reading books that they don’t enjoy. These books are not only enjoyable but each shares a powerful story that needs to be heard. 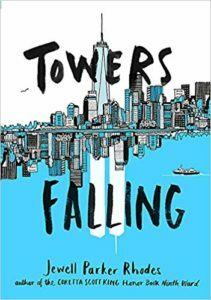 This novel provides students the opportunity to learn about 9/11 while exploring religious, socioeconomic, and racial diversity through three diverse characters. Dèja, an intelligent, African American girl who lives in a homeless shelter, demonstrates that socioeconomic status is not a reflection of worth nor does it determine someone’s ability to contribute to their community. Sabeen, a Muslim girl living in post-9/11 New York, demonstrates the beauty of the Islamic faith and provides a counterstereotype to the prejudicial view of Muslims as terrorists. This novel tells the story of an eleven-year-old boy who is raised in a correctional facility with his mother. 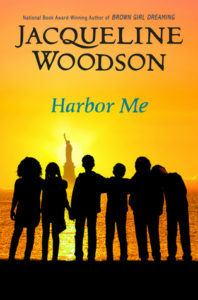 Through this novel, students see that there are multiple sides to every story, explore ideas of justice, and are provided with a deeply moving counterstereotype of prisoners in America. 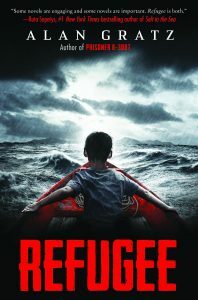 This book combines the story of a Jewish boy during Nazi Germany, a Cuban girl during the Cuban Refugee Crisis in 1994, and a young boy from Syria in 2015 who is trying to escape his war-torn country for a chance to survive. This book fights the dangerous narrative that paints all refugees as the “other” and demonstrates the importance of helping those who need refuge from oppression and violence. 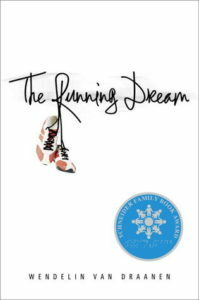 This book tells the story of a high school runner who loses her leg after an accident but finds hope as she gets to know a girl with cerebral palsy. 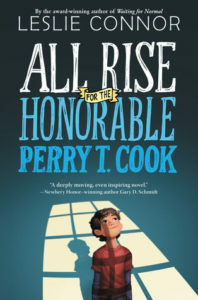 Through this novel, students see that physical ability does not define one’s intelligence, worth, or ability to contribute to their community. This novel tells the story of six students of different cultural backgrounds who have the opportunity to come together weekly to discuss whatever is on their minds, including prejudice, incarceration, deportation, and dealing the death of parents. It also provides an example for students for how to be a harbor for those who are in need. Have an idea for a Build Your Stack blog post? We’re now accepting submissions from NCTE members! Learn more and submit a post today. Kasey Short attended the University of North Carolina—Chapel Hill and earned a bachelor of arts in middle school education with a concentration in English and history. She then went on to earn a masters of education in curriculum and instruction from Winthrop University, North Carolina. 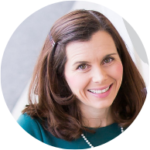 She is currently a sixth-grade language arts and social studies teacher as well as English department chair at Charlotte Country Day School.